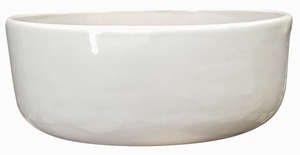 A garden bowl planter is always a welcome addition to any home and garden pottery collection. 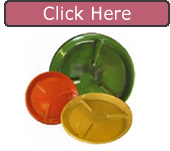 This bowl container is perfect for holding a colorful display of flowers, some of the new succulents you see at the local landscape nurseries or wonderful garden bulbs for Spring. Because these garden planters are shallow and wide they can be used as a centerpiece for a patio table or on an outdoor coffee table. This size of the garden bowl is perfect for all plant materials that have fairly short root systems, like perennials or annuals. Each planter is finished with a high gloss glaze that is stunning and decorative. 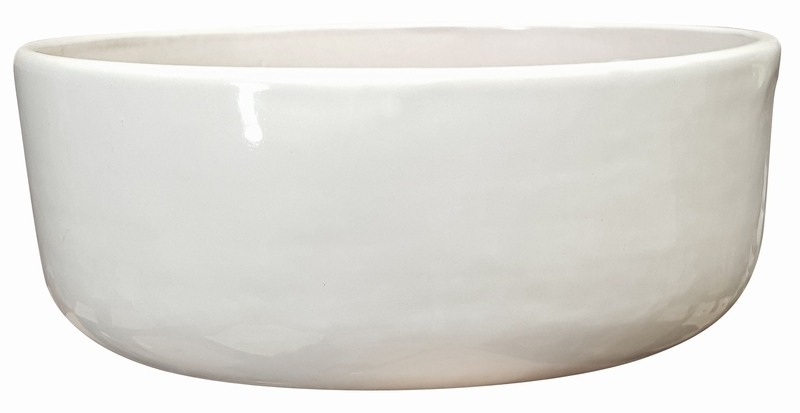 Available in 2 great sizes and perfect for all your outdoor decor needs, check out our garden bowls. Available in many colors. Indoors or Outdoors but please don't expose to freezing temperatures.